If you’re planning a trip to Grand Staircase-Escalante National Monument, consider making a stop at the Big Water Visitor Center. 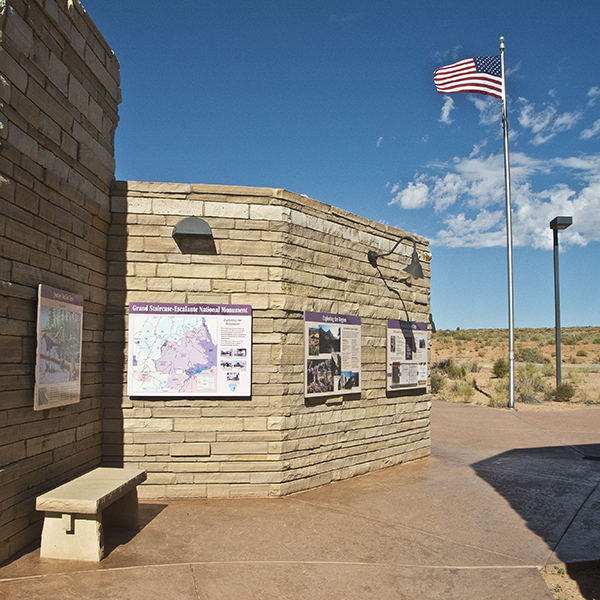 This BLM information office has several exhibits on paleontology and geology in the area. See dinosaur bones, study a topographic relief of the monument, and check out the mural of a Late Cretaceous landscape. A book/gift store has a good collection of field guides and souvenirs. Be sure to ask the staff for weather reports, road conditions, and trail updates.